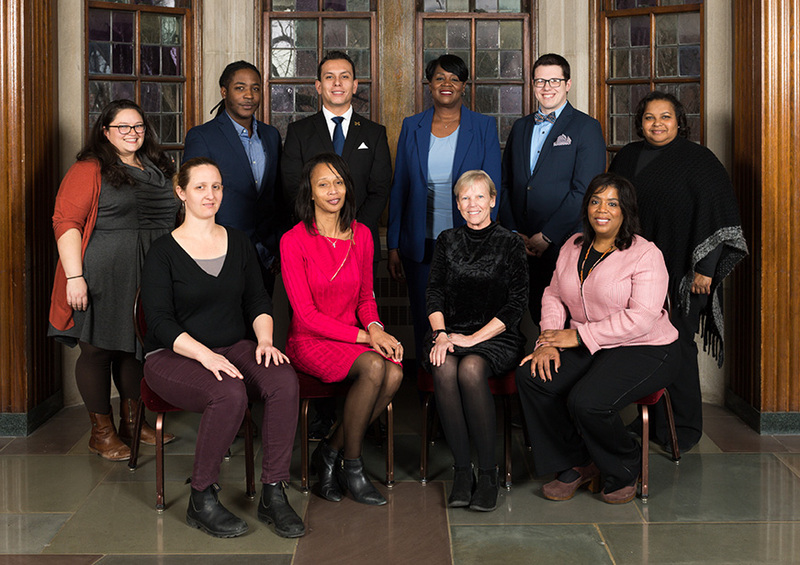 Recipients of the 10th annual Distinguished Diversity Leaders Award for U-M staff were celebrated Monday at an afternoon ceremony at the Michigan League. The 10 individual winners received $1,000 each. Five teams also received $2,500 each. The prizes are to be used toward professional development activities. “This year’s recipients represent a diverse cross-section of the university, with recognition in areas such as gender, student support and accessibility. This work is a testament to U-M’s dedication to diversity, equity and inclusion,” said Robert Sellers, vice provost for equity and inclusion and chief diversity officer. The event was opened by Jeffrey Frumkin, associate vice provost and interim senior director of the Office for Institutional Equity, and featured a special video sharing the beginnings of the decade-old award. The ceremony also included comments by Sellers and closing remarks from Sonya Jacobs, director of health sciences faculty development and chief organizational learning officer. Highlights of the award presentation included the retrospective video consisting of interviews with key sponsors of the award, including Laurita Thomas, associate vice president for human resources. Additionally, short videos provided by nominators were shown, which added a personal touch to each award presentation. This award is made possible by the Office of the Provost and University Human Resources to celebrate progress toward creating a diverse, equitable and inclusive environment. Click here to view photos of the winning teams.